So I have done an outfit based on this pin before with all the layers. Today I decided to do a late spring variation. 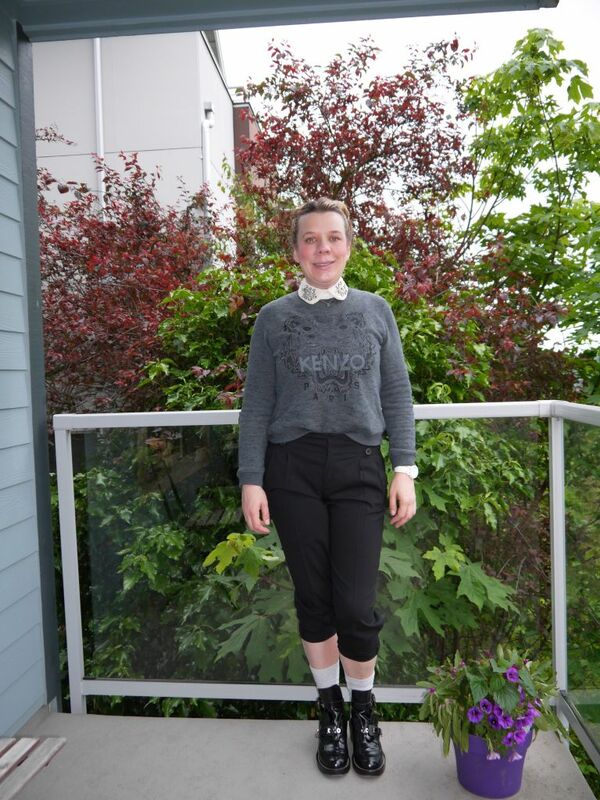 Zara pearl and rhinestone collar, Kenzo sweatshirt, Club Monaco cropped, pleated pants and Balcienaga Ceinture cut-out boots. Also I finally broke down and bought a mixed plant pot for my deck, with purple flowers. 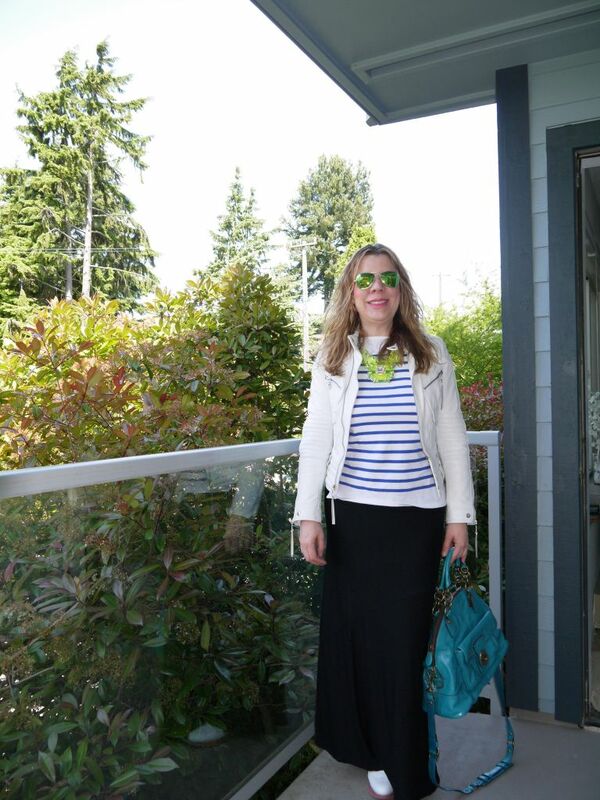 So this is the maxi skirt I got for $15 at Costco. Worn with Saint James striped shirt, white leather moto, neon green acrylic necklace, white Prada golf shoes and Coach bag. Taking Jenava out for lunch. Bonus pictures from drive back to Seattle. Running errands with my father. Sorry I didn't realize until too late that the first photograph is slightly blurry. 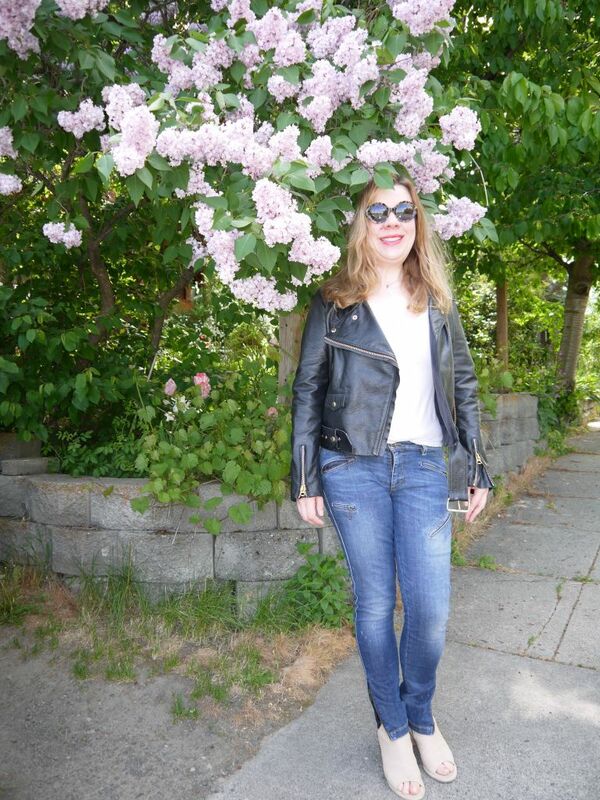 Acne leather moto, R13 skinny moto jeans and LD Tuttle The Remove peep toe booties. 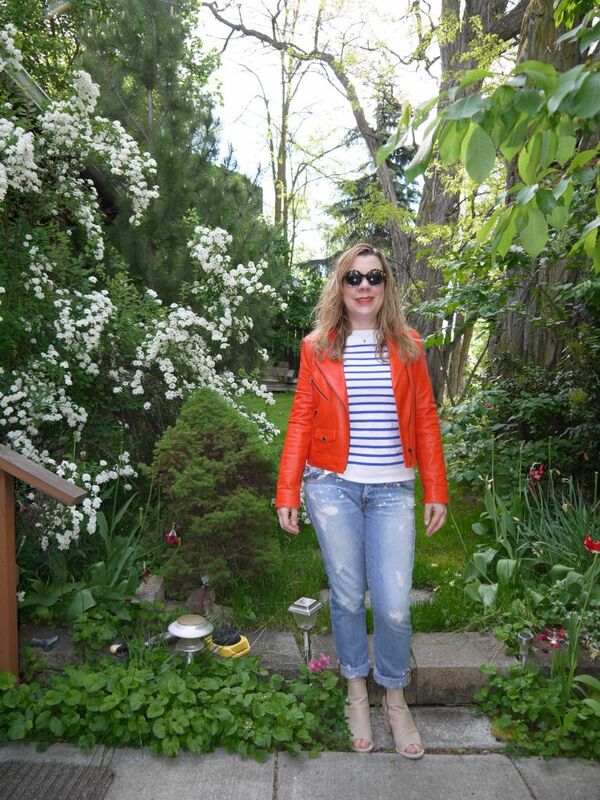 Truth and Pride orange perforated leather moto, Saint James shirt, True Religion Cameron boyfriends, LD Tuttle The Remove peep toe ankle boots and Karen Walker sunglasses. Bonus shots from the drive over and flowers in my Dad's garden. #3 is the scablands in central Washington. Geology from the Lake Missoula floods at the end of the ice age. #4 is the wheat fields in the Palouse. 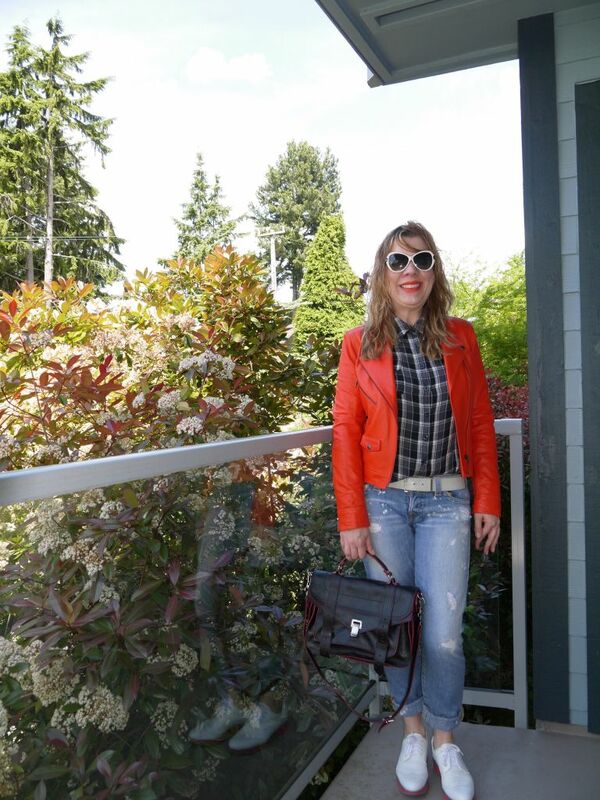 Orange perforated Truth & Pride leather moto, plaid shirt, True Religion Cameron boyfriend jeans, Prada golf shoes, PS1 bag and Tom Ford sunglasses. I unfortunately will have to return the sunglasses as the white sections discolored unevenly. In the spirit of recent posts on more basic everyday wear I present this, a commuting outfit. I was on call yesterday and worked nearly 11 hours, so I'm very tired. 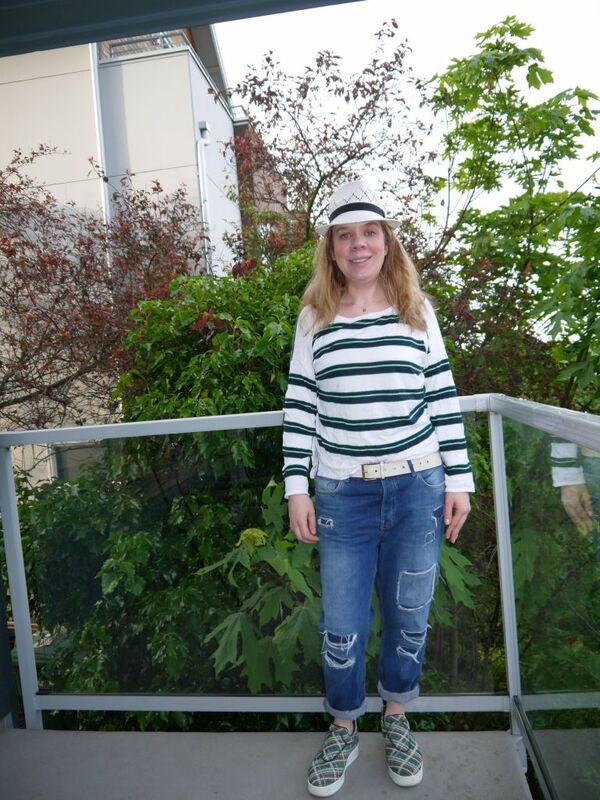 Straw fedora from Australia (I think it was Myers), Pendleton striped cotton sweater, TopShop jeans and Celine sneakers. Going to see the movie, "The Lunchbox" with some friends. So yesterday I took some clothes to Buffalo Exchange to sell. 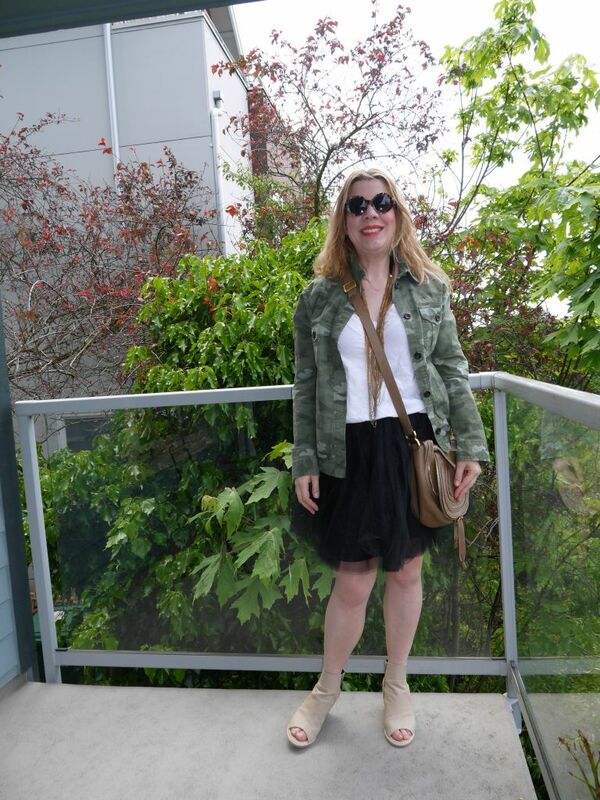 I found this Gap camo jacket and no-name tulle skirt. So basically they cost me nothing. 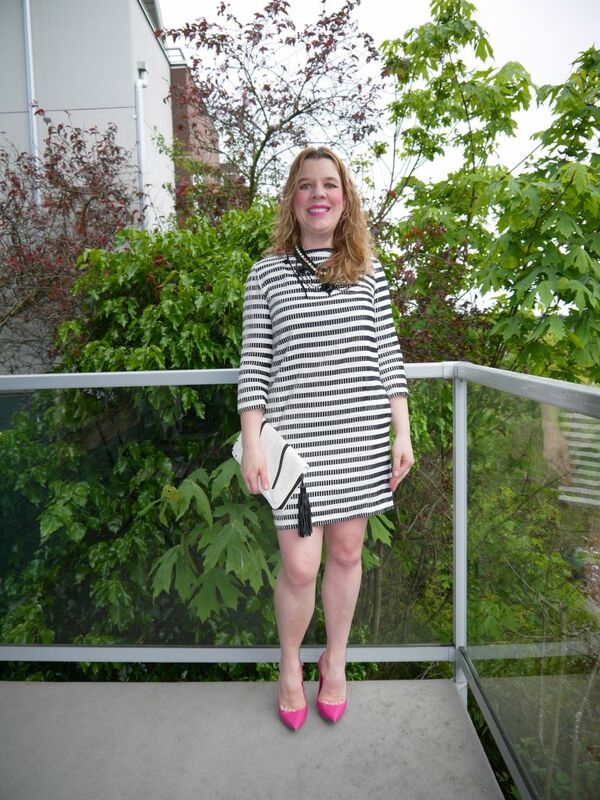 I really like the way this outift looks, but I'm wondering if it is a bit young. What do you think? I've been lusting after a tulle skirt for a long time. Worn with James Perse drapey tee, multichain gold necklace, Karen Walker sunglasses, Chloe bag and LD Tuttle The Remove peep toe booties. Going to the opera with Jenava tonight. We're seeing the Tales of Hoffman. Black and white micro pleated MSGM dress, Venessa Arizaga necklace, LAMB clutch, Christian Dior pointy toe pink pumps and Kenna-T white leather moto. Major pattern mixing going on. 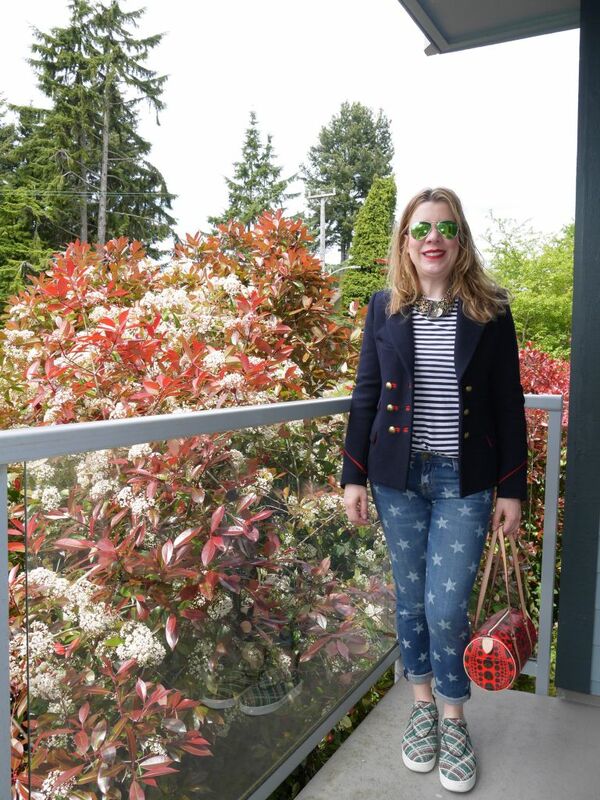 Wearing Isabel Marant navy blazer, Rodarte for Target striped tee, Fallon mixed chain and rhinestone necklace, Current/Elliott star jeans, Celine LOVE LIFE sneakers and Yayoi Kusama for Louis Vuitton bag. Going out to help bolster a friend who's weathering a recent break up. 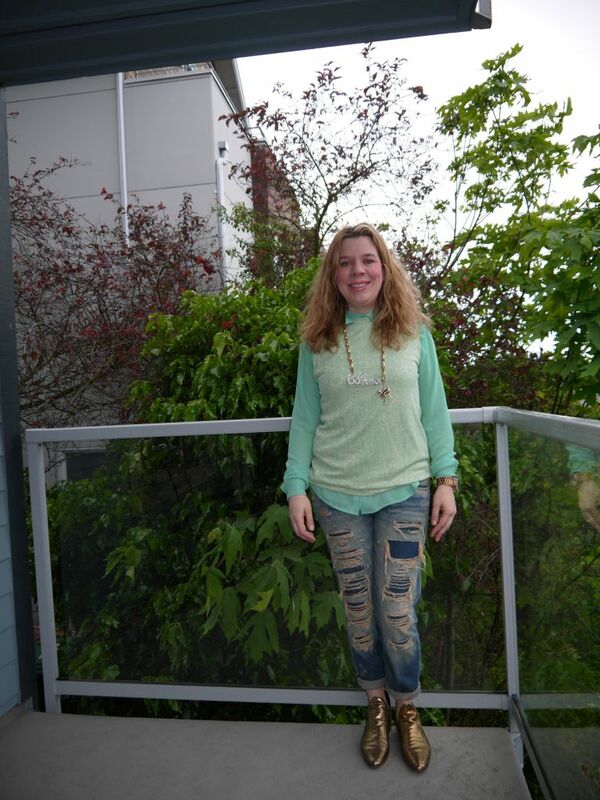 Acne mint blouse and vest, Anna Del Russo for H&M name necklace, R13 shredded jeans and Damir Doma gold snake embossed elf booties. I first tried my gold peep toes pumps, too businessy; then my gold Isabel Marant wedge sneakers, too big and blingy, so I settled on these.